Y’all, if you love spicy queso dip, or you think the queso you get at your favorite Mexican restaurant isn’t as spicy as you’d like it to be, I’m here to help. 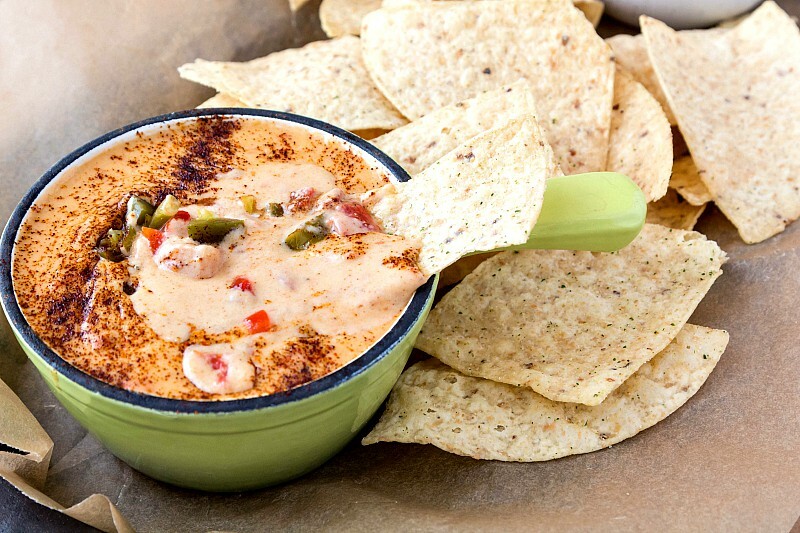 We’re going to make some spicy queso, and you will be so very happy! Let’s get to it. 1 Nacho Cheese Dip, Please! 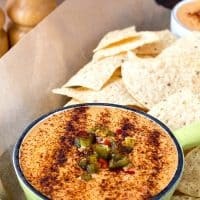 I am a sucker for cheese dip of any kind. Orange plasticky stuff from a Number 10 can poured over stale tortilla chips at the movie theater? Sign me up. I will mindlessly eat it. But give me some truly flavorful cheese dip with bits of green chile and diced, fire-roasted tomato in it, and that’s a dip I will pay attention to. And that’s what we’re making today. I’m calling it spicy queso dip, but you can control the amount of heat just by dialing back the spices. This dip flavorful, rich, and thick. This spicy queso turns into a block of solid cheese in the fridge. To reheat, spoon out a portion into a microwave safe dish or to a small saucepan. Add just a bit of whole milk or half and half and heat gently. Use power level 3-4 in the microwave in 30 second bursts or heat over medium-low heat on the stove, stirring constantly just until hot. Don’t let it boil. 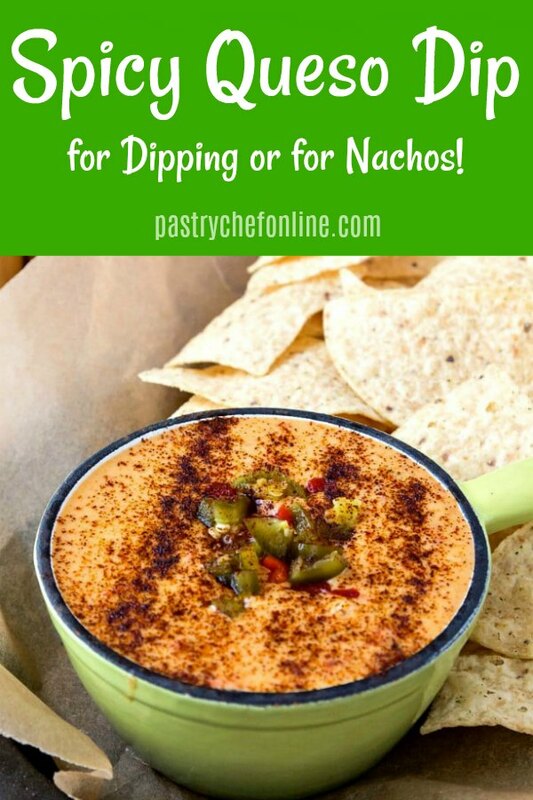 Spicy queso dip is perfect either for dipping or for pouring over a huge platter of nachos. It is based on a roux, a cooked combination of equal parts fat and flour that serves two purposes here: it adds body, and it also prevents the cheese from getting grainy and sad from the heat. Since this is roux based, it is not a gluten free queso. If you aren’t gluten-free, you’re going to love this queso, friends. If you’d like to watch me make it on facebook live, here’s the link. 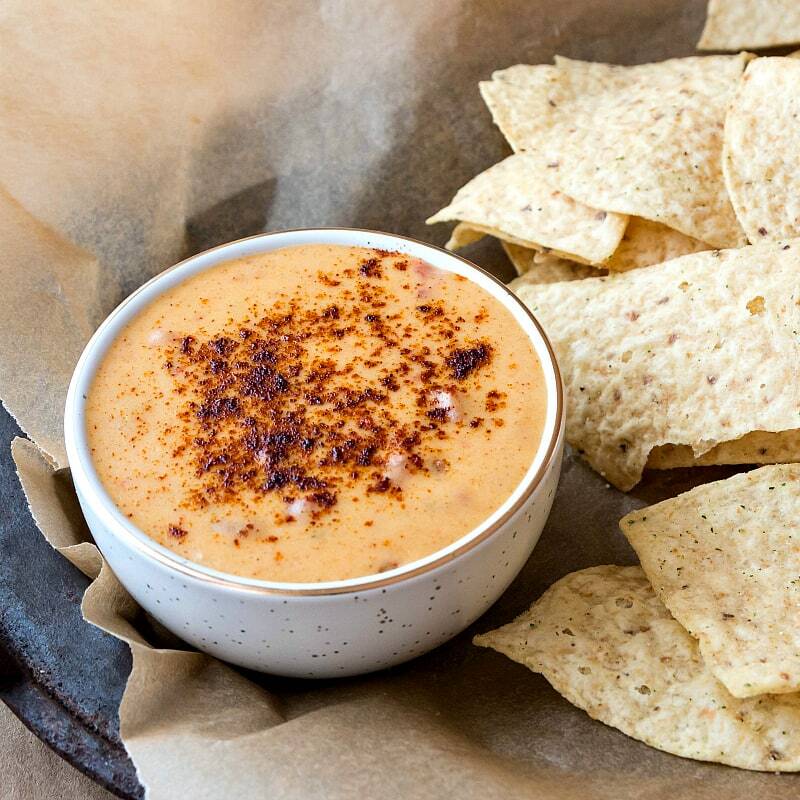 Cheese dip, cheese sauce, queso. Whatever you call it, it’s food made for sharing, and it’s easier to make than you might think. Cook some up for your next game day party. You won’t be sorry! 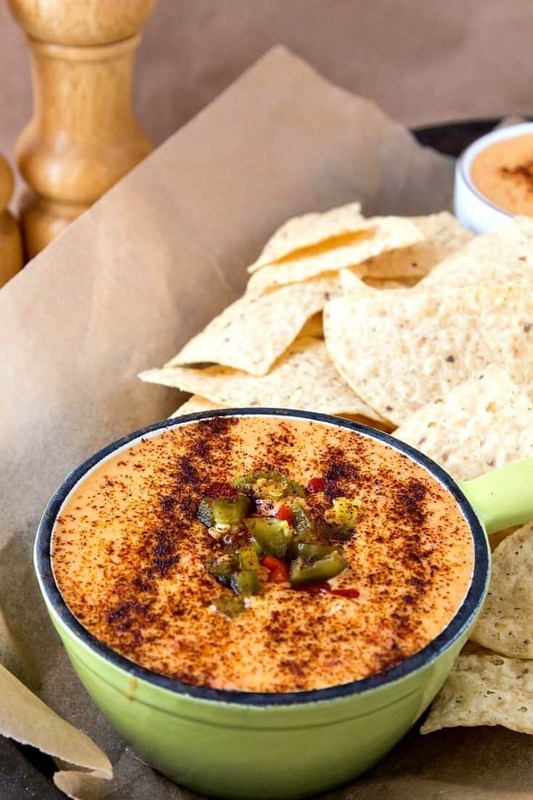 This spicy queso dip makes about 3 cups, so it's plenty to share or to make for serious game day snacking. It will hold just fine in a small slow cooker set on low for up to 3 hours, especially if you stir it occasionally. Enjoy! 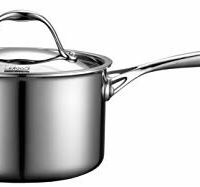 In a medium saucepan, heat the butter until bubbly. Add the flour, onion powder and garlic powder and cook, stirring constantly, for 2 minutes. Add the half and half a bit at a time, stirring well to incorporate. Bring to a boil and then let simmer 3-4 minutes. Add the can of Ro-Tel, juices and all, and bring just to a boil, stirring frequently. Turn off the heat and make sure the sauce is not boiling before adding the cheese a handful at a time. Stir each addition in well until melted before adding more. You may occasionally have to turn the heat back on, but to no more than medium-low and for only enough time to heat the sauce enough to melt the remaining cheese. You don't want this to boil once you've added cheese. Season to taste with the kosher salt, chipotle powder and cumin. 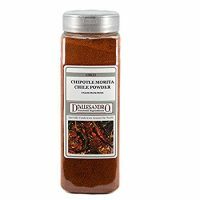 Serve warm with tortilla chips or poured over your nachos. If you don't want any tomato in your spicy queso dip, substitute a small can or two of diced green chiles for the Ro-Tel. If you like things really spicy, feel free to sub in (or add in addition to the chiles) chopped, pickled jalapenos. 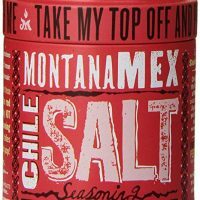 I also used some "Montana Mex Chile Salt" in my queso. I just found it at the store yesterday, and I was intrigued. It is a totally optional ingredient--I used maybe 1 teaspoon--but it is quite good. Wow, you guys, this is so good. The Beloved and I had this for dinner last night. It might not be a proud moment, but it was a tasty one! You can make this spicy queso thicker by upping the amount of roux and/or by adding additional cheese. Have it your way! I am almost 100% sure you will love this dip, you guys! Let me know! And I’m starting a new feature on the blog where I take recipe requests. 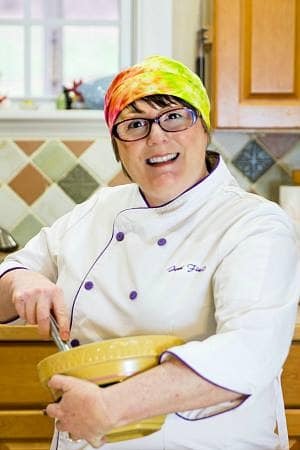 If you’d like to request a post on a specific recipe, please let me know in the comments. If it fits into my budget and fearlessness level, and it’s something I would enjoy eating once I’ve made it, I’m in! Seriously, Jenni? You are EVIL! I thought I knew what I wanted for Super Bowl but now I have to rethink that one! LOVE, LOVE, LOVE this dip. Sharing on Desserts Required’s FB page next week. March Madness is around the corner, too! Oh, thank you, Betsy! I hope you guys like it. It is pretty excellent!